Winter Greenhouse is a popular garden center and nursery located near Hayward in Northern Wisconsin. 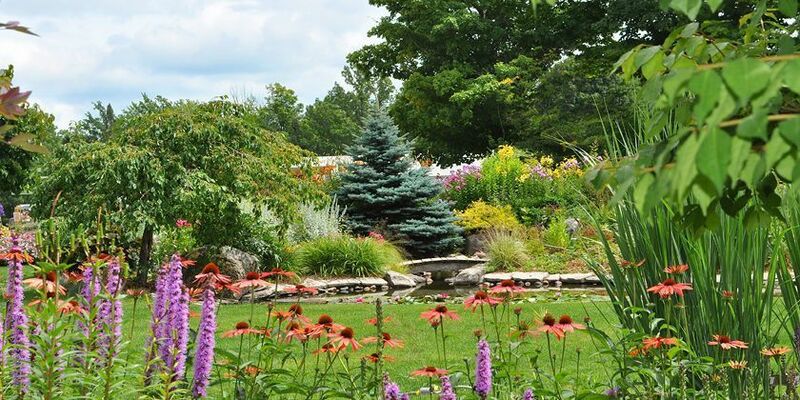 We offer a large variety of high quality plants, including hardy perennials, annuals and vegetables, ornamental trees, evergreens, fruit trees, small fruits, shrubs, vines, roses, herbs, water plants, exotics, wildflowers & ornamental grasses. (See this year's new plants.) Hanging baskets and planters of every description, size, and shape surround the facility. Based on 35 years of experience designing and growing the greenhouse display gardens, we also offer landscape design and installation services. Our mission is to bring an inspiring growing experience to all of our customers, while developing an increasingly natural and sustainable business that will serve future generations well. Sign-Up for our free Rewards Club to receive great benefits.